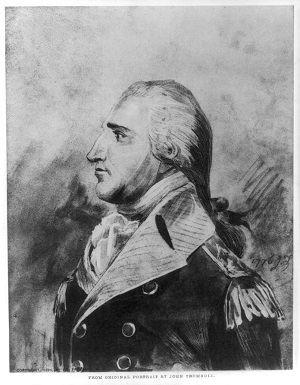 Benedict Arnold was born on January 14, 1741 in Norwich, Connecticut. Arnold was one of a number of Benedict Arnolds including his father and his great-grandfather, an early governor of Rhode Island. Arnold's mother was Hannah Waterman King, a wealthy widow, before her marriage to the elder Arnold. The family prospered until some poor business deals caused financial problems. Arnold's father turned to the local taverns for solace. Arnold attended school at Canterbury. While there, two sisters and one brother died from Yellow Fever. Without money, Benedict Arnold was withdrawn from school. With the lack of the structure of formal schooling, and lax parental control, young Benedict was often in trouble. His mother finally found help from family: cousins Daniel and Joshua Lathrop took Arnold in as an apprentice to their large and successful apothecary business. He left his apprenticeship a couple of times to join the army for periods of time during the French and Indian War, but remained in the employ of his cousins for years. Arnold's mother died in 1759, his father, two years later. After leaving the apprenticeship, Arnold traveled to Europe, buying supplies for his own apothecary which he established in New Haven. The only surviving member of his immediate family was Hannah, his sister, and she became his assistant. His business dealings drifted into smuggling . . . in contempt of the customs laws of the Crown. In 1767 Arnold married Margaret Mansfield. They had three sons. Prior to the official outbreak of war, Arnold became a Captain in the Governor's Second Company of Guards. When the word spread of the Battles of Lexington and Concord, Arnold was eager for action and at Cambridge he requested permission of the Massachusetts Committee of Safety to lead a campaign to capture Ft. Ticonderoga. 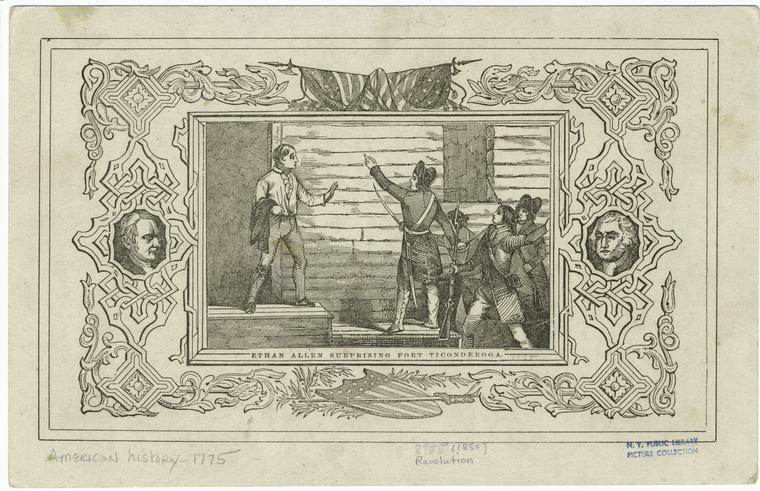 Ethan Allen surprising Fort Ticonderga. I took the liberty of breaking his head, and on his refusing to draw like a gentleman, he having a hanger [short sword] by his side and a case of loaded pistols in his pocket. I kicked him very heartily and ordered him from the Point immediately. Arnold and Allen really didn't agree on much . . . except for the essential need of an invasion of Canada. Easton returned from his mission to Massachusetts while Arnold and Allen were planning the Canadian Invasion. Easton had done his best to diminish Arnold's participation in the capture of Ticonderoga and the two were arguing once more. 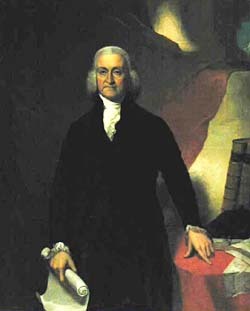 The hot-tempered Arnold soon had some more people to fight with: Connecticut governor Johnathan Trumbull appointed Colonel Benjamin Hinman to command the Fort. Ethan Allen relinquished his command. Arnold did not, instead threatening to sail two ships under his command directly to a nearby British outpost and surrender them. Hinman then enlisted the treasonous Arnold's soldiers, took command of his ships, and dissolved his command. Completely affronted, Arnold went to Albany and there sent off a statement of the situation at Ticonderoga to the Continental Congress. 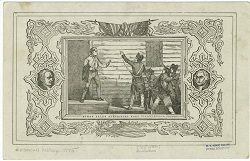 Arnold had been caught in the middle of the political machinations of Connecticut and Massachusetts, both vying for the glory that would accompany the capture of the British stores at Fort Ticonderoga. When Massachusetts acquiesced to Connecticut's preeminence in the territory, Arnold most certainly felt abandoned. Arnold's wife died in June of 1775. After succumbing to a bout of gout himself, Arnold traveled to Cambridge to settle up his accounts with the Massachusetts Committee of Safety. He was given only a small portion of his expenses, nowhere near his total bill. Piqued, he turned the accounting over to Silas Deane, who in turn presented them to the Continental Congress, and he was finally repaid the balance of the account.